Our exclusive range of luxury baskets for the home and outdoors have been carefully formed and collaborated using components and fixings, sourced from some of the most prestigious merchants and artisans in the British Isles. 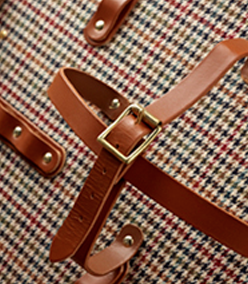 Every little detail, from the leather straps on our storage baskets, to the material covering our hamper backboards, have been specially selected to ensure only the finest quality product makes it onto each item of basketware. The entire range of willow baskets are made in our workshops in Somerset using premium handpicked Somerset willow, all handmade, by one of our cherished willow craftsman, who painstakingly strive to weave and perfect every wicker basket they create. With a combined basket making experience of over 200 years, our craftsman are able to produce what we like to regard as being some of the finest baskets in the world.